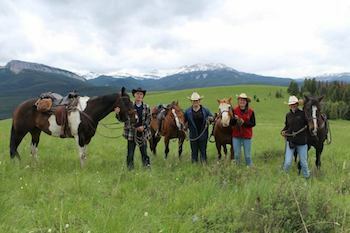 Berwick is committed to offering authentic travel experiences that are connected to curriculum, service learning, or extra-curricular initiatives. The increasing inter-connectedness of our world is a reality. Political, economic, social, and environmental systems no longer exist in isolation and as a result cultural competency is a 21st-century skill of incredible value. A global education at Berwick develops the knowledge, skills, and empathy required to understand a myriad of perspectives and to flourish in the most diverse and cosmopolitan of communities. We strive to expose our students to varied cultures beyond the Seacoast. Our curriculum addresses this challenge by not only focusing on expanding students’ global knowledge in a classroom setting, but also incorporating a travel component to domestic and international destinations. This two-pronged approach enables students to truly understand and appreciate other cultures through immersion and hands-on learning; additionally, these travel experiences give students greater knowledge of the world and are formative moments that shape their beliefs as global citizens. Berwick Academy is committed to making travel experiences available to all Upper School students. Families who receive need-based tuition assistance from Berwick are able to apply for Supplemental Financial Aid (SFA) relative to the percentage of assistance that they receive for tuition, but it is capped at 50% of the cost of the trip. A Global Education at Berwick Academy develops the knowledge, skills, and empathy required to understand multiple perspectives and to thrive in our connected world systems.